Joshua Tyler Vela likes designing and creating landscape features, and originally wanted to grow up to become a landscape designer. He changed his decision while taking a high school accounting class, realizing accounting was more his style. The 100+ degree heat this summer may have solidified his career decision to stick with accounting—indoors—and become a CPA. 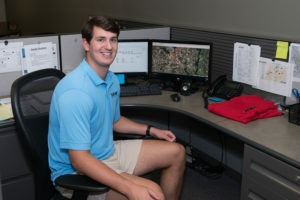 As the summer heats up outside, Josh is a Sirius Plumbing and Air Conditioning summer intern working inside. Josh grew up in Wylie, Texas, and attended Canyon Creek Academy where he competed in Track and soccer and was in the band. After graduation, he headed off to Stephen F. Austin State University in Nacogdoches, Texas, where he is an accounting major. He has spent this summer learning about the real world in a job much like one he’ll soon have, and earning money to help him complete his college degree. He’s also involved with Beta Gamma Sigma, an elite international honor business society. Membership eligibility requirements include that a student must be in the top 10% of a bachelor’s business program or top 20% for master’s programs. The purpose of Beta Gamma Sigma is to encourage and honor academic achievement in the study of business and to foster personal and professional excellence among its members. A major emphasis of the society is to foster ethical business leadership. Members reside in over 160 countries with 27 alumni chapters located in major metropolitan areas in the U.S., Germany, Hong Kong, Spain, Switzerland & Liechtenstein, New Zealand, Peru, London and Toronto. These chapters provide educational and networking opportunities for members. 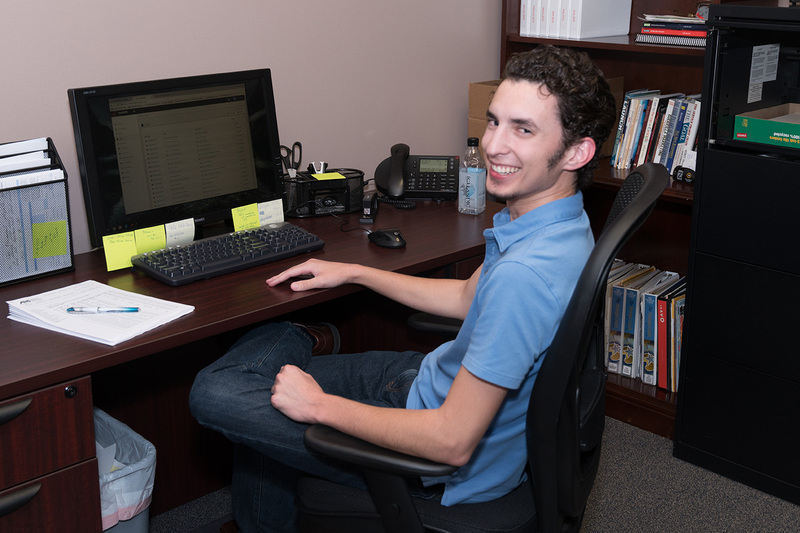 Josh got to network with a number of Sirius employees this summer as his role involved working with bookkeeping, Accounts Receivable, making deposits, invoicing and reconciliation of the books. After graduation next spring, he plans to finish a master’s degree and then take the CPA certification exam to eventually work for a large firm. While many summer intern jobs don’t pay, Sirius knows it’s right to pay their interns—as they work and learn the business–to help them to afford and finish their college educations. Josh is grateful for his summer intern position, and Sirius Air Conditioning and plumbing was happy to have his skills in the office all summer. For more information about Sirius Plumbing and Air and their Internships giving back to the community, see the company’s website: http://siriuspac.com/ or call 972-235-6600. The company is located in Carrollton at 1406 Halsey Way, Suite 100, Carrollton, TX 75007. While most intern jobs don’t pay, Sirius feels it’s only right to pay their interns—as they work and learn the business–to help them to pay for and finish their college educations, and possibly return as full time employees. 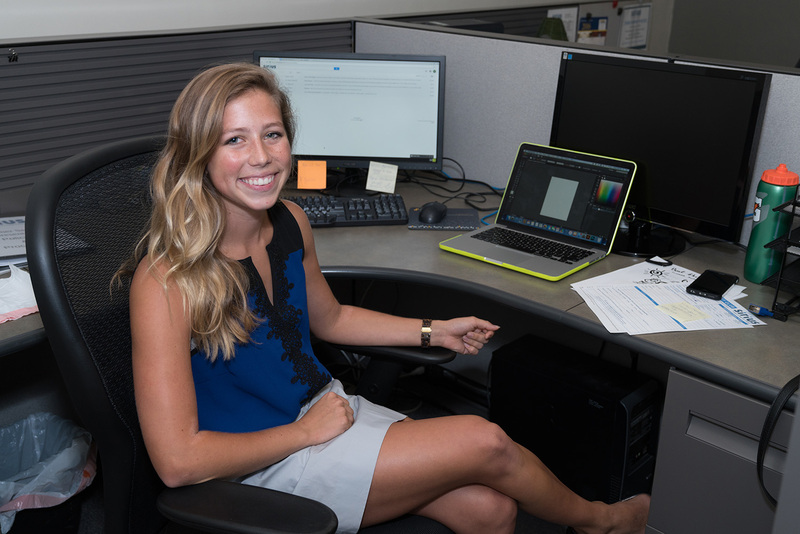 This summer Sirius has three interns working in three different areas of the company. Next week they are finishing up their internships before they go back to college. Each has a different area of responsibility. Kendall Bailey Garrett has been working in Marketing and Design. She’s been shadowing Vicky Gouge, Sirius’s marketing manager, this summer. Gouge is teaching her different marketing strategies, as well as graphic design and social media marketing. Kendall is from Plano and attended Prince of Peace Christian School where she played high school Lacrosse, ran Track & Field, was a Cheerleader and found time to be the History Club Co-Founder. In her senior year she was a Senior Class Officer and Powder Puff Football Chairman. She plays Lacrosse at Mercer University, a Division 1 school in Macon, Georgia, where she is a Marketing Major with a Graphic Design Minor. Mercer University is the oldest private university in Georgia, and the current Governor of Georgia, Nathan Deal, is a graduate, as is television host and news commentator Nancy Grace. Kendall will graduate in the spring of 2019 and her next step is a big one: she plans to apply for the Rhodes Scholarship to earn an MBA from Oxford. Although her life seems pretty full right now, she admits to one little oddity: “I never eat the last corner of a sandwich,” she admits with a laugh. Sirius Plumbing and Air Conditioning is proud to employ such a well-rounded intern—even if she doesn’t finish the last corner of a sandwich.